Beside the Still Waters tapestry shows Christ the shepherd beside a lake. 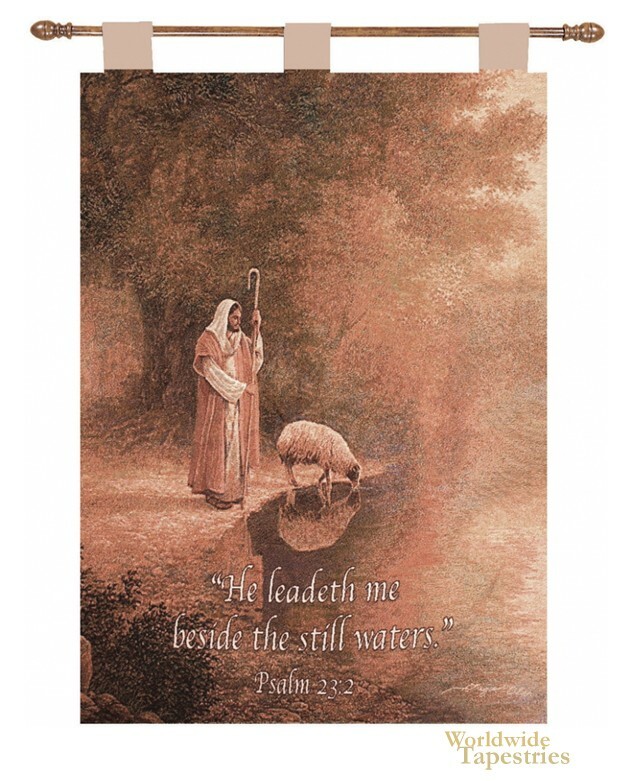 This scene refers to Psalm 23:2 which says "He leadeth me beside the still waters". Here we see a misty lake where Christ watches his sheep drink from the lake. This Christian tapestry is backed with a lining and a tunnel for easy hanging. Note: tapestry rods and tassels, where pictured, are not included in the price.